Taj has opened its second hotel in Udaipur – Taj Aravali Resort & Spa. Nestled in the foothills of the picturesque Aravali mountain range, the resort is spread across 27 acres of lush landscaped gardens. 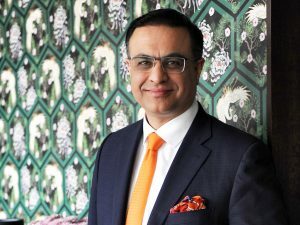 Puneet Chhatwal, Managing Director and Chief Executive Officer, The Indian Hotels Company Limited (IHCL), said, “Taj has been instrumental in developing India’s tourism potential in Rajasthan and putting the state on the global map with the iconic Taj Lake Palace, Udaipur, since 1970. With the opening of Taj Aravali Resort & Spa, we are enhancing our offering for the global traveller and reinforcing our commitment to Udaipur – the Venice of the East.” The resort has 92 luxurious rooms, suites and tents with panoramic views of the Aravalis. The design ethos is contemporary with a mix of traditional Rajasthani influences and furnishings inspired by Mewar’s world-class equestrian heritage. The hotel is conveniently located an hour away from the airport. Anand Nair, General Manager, Taj Aravali Resort & Spa, Udaipur, said, “Taj Aravali Resort & Spa is ideally located to enjoy nature while also staying connected to the pulse of Udaipur’s vibrant character. We look forward to welcoming guests to experience Taj’s legendary service.” Guests have a choice of distinctive culinary options which include an all-day diner – Tiri; a specialty vegetarian restaurant – Javitri; an alfresco grill – Ridgeview and a bar – Odeypore Lounge. 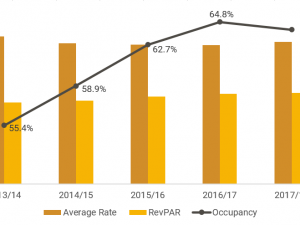 The overall Chennai hotel market displayed an average rate growth of 2.2 per cent in 2017-18 for the first time in little less than a decade, according to a recent study by Hotelivate. Over the past four years, while the city had seen an year-on-year increase in occupancy (with the exception of 2017-18), average rates remained under pressure. In fact, improving average rates has been an ongoing challenge, primarily due to the nature of demand in the city and hotels preferring to take the easier route of dropping rates to fill rooms. 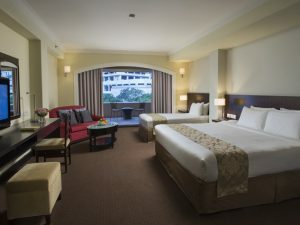 Moreover, several external forces such as the floods of 2015 and Cyclone Vardah in 2016 also hindered hotel performance, especially average rates, since these tragedies hit during peak season and hotels were forced to adopt a volume strategy to fill rooms. Looking at five years of historical data, occupancy across the city has grown at a CAGR of 3.7 per cent, while average rates depicted a negative CAGR of 1.8 per cent, over the same period. 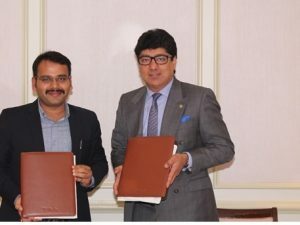 Swiss International has announced that it has entered into a management agreement with H&L Residency for a Swiss Spirit Hotel & Suites in Bahadurgarh. The 88 rooms and suites hotel, currently under construction, is scheduled to opening its doors and start welcoming guests on December 1, 2020. Swiss Spirit Hotel & Suites Bahadurgarh will be the hospitality facility at the unique HL City’s Avenue 37 commercial complex spreading over three acres of land. 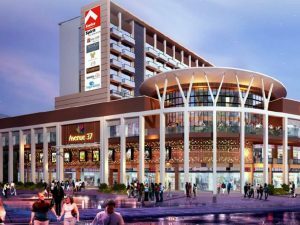 The commercial complex will consist of numerous shopping venues including a hypermarket, offices and work spaces, a food court and family entertainment facilities and zones. Kapil Singhal, Area Director, Swiss International Hotels & Resorts—India, expressed his enthusiasm saying, “We are excited to introduce the Swiss International hospitality to Bahadurgarh which will complement Avenue 37’s outstanding facilities!” Singhal further went on to say that “With Avenue 37 and Swiss Spirit Hotel & Suites Bahadurgarh, both regional and domestic travellers will be very well catered for.” In a statement made to the press, Henri Kennedie, CEO & President, Swiss International Hotels & Resorts, said, “India has a GDP forecast of $4,227 billion in the year 2022 and is expected to be one of the top three economic powers of the world in the next 10 to 15 years. With the new Swiss Spirit Hotel & Suites in Bahadurgarh, we are one step further in achieving one of our goals in contributing to the emerging economies globally”. Swiss International now has seven hotels signed in India, Nepal and Pakistan. The number of premium rooms across 12 key cities is likely to go up from 82,800 in FY2018 to 98,900 as on FY2023, with ICRA research tracking about 16,100 premium rooms under construction and to be launched over the next five years. 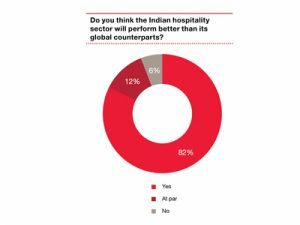 The Indian hotel industry witnessed its highest ever 10-year occupancy in FY2018 and its revenue per available room (RevPAR) was higher by 17 per cent compared to the 10-year low, witnessed in FY2014. Similarly, the pan-India average room rate (ARR) which stood at Rs 5,800 in FY2018, was also the highest since FY2014, according to a recent research by ICRA. Foreign Tourist Arrivals (FTAs) into India slowed down from April 2018 onwards due to the Nipah virus scare and diversion of traffic to other global events such as the soccer world cup in Russia. While the FTAs growth picked up in Aug 2018, the Kerala floods impacted it in Sep and Oct 2018. Kerala witnessed decline in FTAs in Q2 (-4.6 per cent) and Q3 CY2018 (-13.6 per cent). In addition, there was general weakness in the global ITAs during Q3 CY2018. As for the domestic demand momentum, it has remained strong; the domestic revenue passenger kilometre (RPKM), a proxy for domestic travel grew by a robust 20.3 per cent year on year (YOY) in YTD October CY2018 at ~ 10.5 million passengers. Domestic demand in FY2019 will continue to be driven by increased air connectivity and higher appetite for domestic leisure travel. On the supply side, the supply of room is likely to lag demand over the medium term and grow at a subdued CAGR of 3.6 per cent over the next five years (FY19-23). 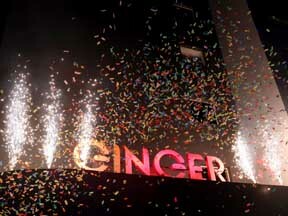 Ginger has opened its first prototype hotel with a complete new brand identity at Panjim, Goa, after an intensive repositioning exercise. 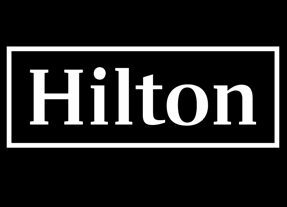 The current portfolio of the other 45 plus hotels will be repositioned reflecting the new brand identity and brand promise. Ginger will introduce the lean luxe segment, the first of its kind in India. The new identity presents a co-existence of contrasts through re-imagined spaces blurring the lines of work and play, bringing about a fusion of global and local and create experiences that are vibrant, quirky, intuitive and smart. The redesigned spaces will bring together attractive public areas as well as spots designed for solitude, allowing the smooth transition from one to the other. They come alive with vivacious high energy glocal music and unique artwork installations. 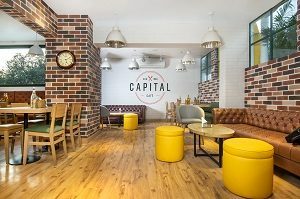 The all-day diner Café Et Cetera offers comfort food and doubles up as a personal workstation. The service style is designed around the on-the-go lifestyle of the target audience enabling them to do more whether it is on-the-go breakfast, express laundry service or quick munch snack bars.